List of Premier Inn Hotel locations in Ireland. Premier Inn Hotel locations in Ireland. 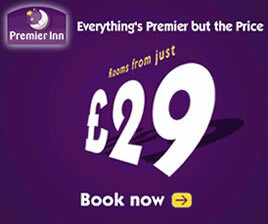 List of Premier Inn hotels in the Republic of Ireland & Northern Ireland. Belfast Titanic Quarter Premier Inn. Dublin Premier Inn, Swords, Republic of Ireland.